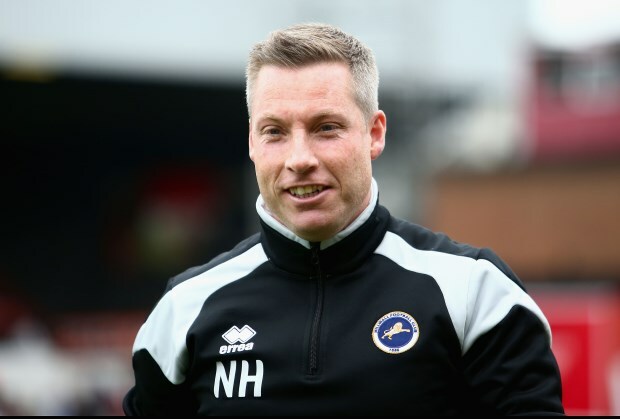 Millwall manager Neil Harris has warned Leeds United that the Lions have been enjoying superb training sessions since their loss to Swansea City before the international break. Marcelo Bielsa’s men are unbeaten in the Championship so far and will face Millwall on Saturday in what could prove to be a hostile outing away from home at the Den. The Lions have not endured the best of starts to their campaign and are currently languishing in the bottom half of the table with just five points from their six league games so far this season. Despite their worrying form early on in the season, Harris has claimed that the mood surrounding the Den is still positive and that his side have enjoyed every training session during the build-up to the clash against the league leaders. “The last two weeks’ training has been as good as anytime while I’ve been in charge. It’s been top drawer”, Harris told the club’s official website. “The sessions the coaches have put on, the attitude for the boys to learn, reminders for the boys that have been here for a period of what we’re good at and the areas we need to improve on. “There are a lot of areas we need to improve on, but there are a lot of things we’re very good at as well, and they can keep being tweaked and made better – it’s been an outstanding few weeks. “The new lads have had a lot of messages, video work and work on the training pitch, and some tactical sessions that aren’t the most exciting to take part in but ones they’ve attacked really well and embraced", Harris said. Millwall will be looking back to last season for inspiration when they ended the Whites’ unbeaten start to the season at the same venue in the same month. In total, Leeds have lost on their last four visits to the Den.